Home News Visit us @EuMW 2018! Sanitas EG is proud to be invited by Analog Devices to present the enhanced features of the iTPM ADFE acquisition board. Meet us at Analog Devices’ Stand (booth 135 ) during European Microwave Week 2018 in Madrid and discover the success story of our best-in-class board! The European Microwave Exhibition is the largest trade show dedicated to Microwaves and RF in Europe. This year is the 21th edition of an exhibition that offers its participants an unrivalled opportunity to present products, technological developments and form relationships with relevant and interested spectators including academics, professionals and industry figureheads. Analog Devices, since 1965, is a world leader in the design, manufacture, and marketing of a broad portfolio of high performance analog, mixed-signal, and digital signal processing (DSP) integrated circuits (ICs) used in virtually all types of electronic equipment. Sanitas EG joined in 2017 the Analog Alliances Program: our participation in the exhibition is a step ahead in this effective cooperation. The iTPM ADFE (italian Tile Processor Module Analog to Digital Front-End) thanks to high performance leading edge technology allows Analog to Digital conversion and pre-processing of 32 analog inputs with sampling frequencies from 700 MHz up to 1 GHz. 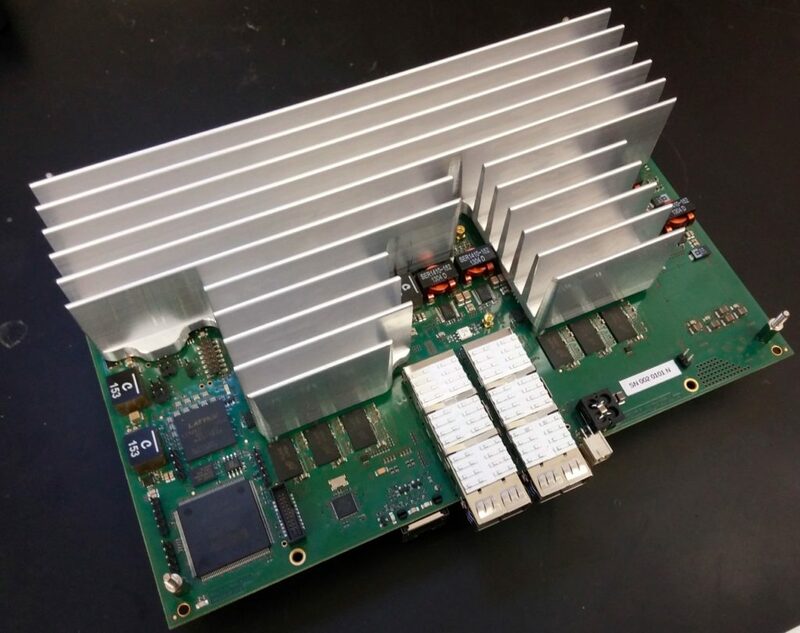 Compact board size, low noise clock network, advanced 14-layer board build-up, Ethernet based management features (including health monitoring capability), high efficiency and low noise power distribution system complete the main board features. It has been developed by Sanitas EG in collaboration with INAF (National Institute for Astrophysics) and Oxford University in the frame of the Square Kilometer Array (SKA) international project, and is used within the antenna receiver module of the radio telescope.